1. Tampa Bay Rays (1) – My, how the AL east has changed in such a short time. The Rays hadn’t made the playoffs until just 6 years ago, and have built one of the most effective farm systems in baseball. Even with the loss of James Shields, their rotation will be as good as ever with Matt Moore and Alex Cobb coming in, who will complement ace David Price and vets Jeremy Hellickson and Jeff Niemann well. I don’t think Francisco Rodney will have as good of a year as he did last year, but assuming Evan Longoria can stay healthy most of this season, there won’t be as many games for Rodney to save. Losing B.J. Upton won’t be that big of a deal. Get rid of his inconsistency and strikeouts. Desmond Jennings should have a fine year. Hopefully for them Yunel Escobar will reach some of the lofty potential he has. But all in all, they look like the most well rounded team in baseball’s most talked-about division. 2. Toronto Blue Jays – Offseason champions, right here. They made the most headlines by bringing in R.A. Dickey, Jose Reyes, Melky Cabrera, Mark Buehrle and Josh Johnson. The optimist says that adding those guys to Joey Bats and Edwin Encarnacion, among others, will make them into a contender. The pessimist says that three of those guys were part of the trainwreck in Miami last season, Melky is coming off a PED suspension and that Dickey never pitched very well in the AL. I think Reyes and Buehrle will be good additions, in the short term at least. Dickey will be okay, not what people got used to, Johnson looks done, I think he’ll get roughed up in the AL. Melky is a real wild card. On the surface the AL should provide a better chance than San Francisco did to put up offensive numbers. But how much of his performance was PED related and how will he be mentally coming off of that? If he plays well, they have a good shot at making the playoffs. I just don’t think he will do well enough. 3. Baltimore Orioles – They were the Cinderella story in baseball last season. Lots of no name players (with a few exceptions) coming together to get within one walk off homerun of going to the ALCS. They were simply astounding in one run games last season. But will that happen again? No. Jim Johnson, who was absolutely lights out last season, will be hard pressed to replicate last season’s success. I still think they’ll pull out a lot of close ones, but not quite enough to get them back to the postseason. But Buck Showalter has done one heck of a job there. 4. New York Yankees – Has he lost his mind? Maybe. But the Yankees have lost a lot of players for extended periods of time. Granderson and Tex will miss the first two months of the season. Jeter may start the year on the DL. Alex Rodriguez is out at least half the season (that may work in their favor). Gardner is an injury waiting to happen. Basically there’s Cano and…Ichiro. Getting Mo back will help, but there’s only so much a reliever can do for a team, even if he’s the best reliever of all time. It’ll be a long summer in the Bronx. 5. Boston Red Sox – I question how good the hiring of John Farrell really is. On the surface, he wasn’t able to get a fairly talented Blue Jays roster to the playoffs. That said, he’s better than Bobby V. Granted I might have been too. I feel like this team is putting a lot of stock in guys that are over the hill or journeymen. Big Papi isn’t what he used to be. Mike Napoli is a good piece, but not a guy worth spending huge bucks on. Johnny Gomes a starting outfielder? Please. Shane Victorino? Old, journeyman. Stephen Drew? Another journeyman. Clay Buchholtz? When was the last time he was good? John Lackey? Oh please. I think Jacoby Ellsbury will be dealt at some point this season. They just have too many holes. I also highly doubt Joel Harnahan will be the same in Fenway as he was in the pitcher friendly PNC Park. 1. Detroit Tigers (3) – Not much needs to be said about this team. They have the best hitter in baseball (in my opinion), one of the best pitchers, and a $200+ million first baseman. They started out really slowly last season, but they should have the kinks worked out enough to the point that they can fire on all cylinders (no pun intended) this season. 2. Kansas City Royals* – Surprise! They are my somewhat surprising playoff team for this coming season. Picking up James Shields, an ace pitcher with postseason experience, will be huge for them. Billy Butler, Eric Hosmer, Mike Moustakas, and all their young players looked ready to take the next step at the end of last season. Ervin Santana and Wade Davis should also help their rotation. The bullpen needs to keep it together with the loss of Soria. But Aaron Crow and Greg Holland are two young, talented guys who figure to improve this coming season. 3. Chicago White Sox – Lots of new faces this season, but one player remains- the ever consistent and underrated Paul Konerko. He has to be one of the most underrated players of this generation. Chris Sale had a Cy Young type season last year, and if their rotation can stay healthy and Addison Reed can have a better season than the one he had last year, they could make a run at the playoffs. 4. Cleveland Indians – They made some high profile acquisitions this offseason, but I doubt they will be enough to spur this team on to a playoff run this year. Bourn is a very good player, Swisher and Reynolds bring power (as well as low averages and strikeouts), but their pitching looks shaky to me. Jiminez as your ace? Ouch. Scott Kazmir? This isn’t 2005. This team shouldn’t be very good, and the brilliant closer that is Chris Perez will not be seen, so the fans won’t come to games, and he’ll get mad at them for it. 5. Minnesota Twins – They seem to be trying to build a team off of other team’s scraps once again. Vance Worley, Mike Pelfrey and Kevin Correia all had stints of brilliance in the NL at one point or another, but who knows what will happen to them now? Other than Willingham, Morneau and Mauer, their position players are relative unknowns at this point. Glen Perkins as your closer? Good luck with that. 1. Los Angeles Angels (2)- Angels-Rangers is very close to Red Sox-Yankees as most hated rivalry in the game at this point in time. On the surface, the Angels have the lineup to go to the World Series. But it really isn’t about Hamilton, Pujols and Trout (whom I doubt has the same level of success this coming season). This team’s fortune is mainly contingent on the role players. Chris Ianetta (if he can stay healthy), Peter Bourjos, Howie Kendrick and the like will be crucial in the fate of this team. Their rotation also should worry Angels fans. Weaver is great, but Wilson stinks in the playoffs (they overpaid him bigtime), Hanson is coming off an injury and having to adjust to the AL, Joe Blanton? Please. I honestly bet Jason Vargas might be their second best starter. Their bullpen is comprised of guys who aren’t anything special like Ernesto Frieri, Scott Downs, Kevin Jepsen, etc. But they still should win this division. 2. Texas Rangers* – Forget the booze and dropped flyball in Oakland for a second. Josh Hamilton was one heck of a player and he will be missed. He’s one of maybe 10 guys in baseball that could give you that big hit anytime you needed it. If anyone blames him for the Ranger’s failure to win the World Series in either of their trips there, slap them upside the head. However, like the Cardinals showed last season, you can lose your best player and still be good if you have the right type of team. I think the Rangers do. Kinsler, Andrus and Beltre comprise one of the best infields in baseball. Cruz certainly brings a power bat, but will he have any lineup protection? We’ll see. Berkman and Pierzynski are two fairly well known guys who may or may not make a huge difference. If Berkman can stay healthy, just DHing could be good for him. But either way, I doubt Hamilton’s production and presence can be made up this season. Questions on the pitching staff remain. Do they have a true ace? Can their pen be trusted/will Joe Nathan be as good as he was last season? They’ll be a good team, not sure they’re a title contender at this point. 3. Oakland A’s – This team was incredibly lucky last season. 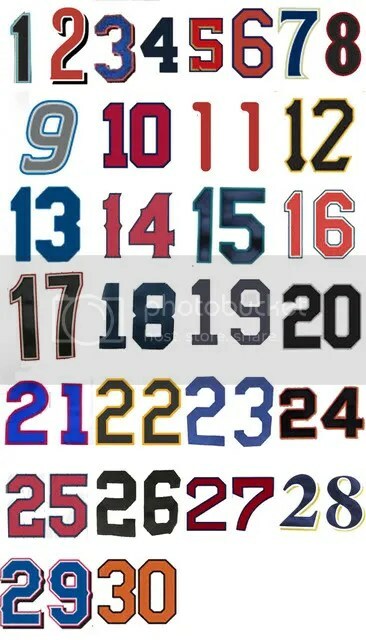 They were sluggish through most of the season before capitalizing on the Ranger’s collapse. But with the Angels bound to improve and the Rangers figuring to hold steady, I’m not sure they can make it back to the playoffs. I doubt Cespedes and Reddick have similar seasons to last year. Where will the offense come from if they don’t? Nobody knows. I certainly wouldn’t trust Jed Lowrie, John Jaso or Coco Crisp to carry a team. Their pitching should be as good as it always is. They make good pitchers like Papa John’s makes good pizza. 4. Seattle Mariners – It’s a shame they’re in the division they are. They’re really much better than their last place finish last season. They had some pretty good pitching last season that allowed them to hang around for a while. So for that I’m not sure losing Vargas will be huge. But for them to make a run, Justin Smoak needs to become the player they gave up Cliff Lee for, Franklin Gutierrez must stay healthy, and they need to get something out of offseason acquisitions Jesus Montero and the oft-injured Kendrys Morales. I doubt that happens. 5. Houston Astros – I bet most casual fans can’t name three guys on this team. Jose Altuve, their 5’5″ second baseman, is their best player, and represented them at the all-star game last season. He wasn’t a fluff player in that game either- he stole 33 bases while hitting .290. Philip Humber, one of the perfect game pitchers last season, migrated to Houston this season, journeyman pitcher Erik Bedard is in the rotation as well. So I did it! But this team has a long way to go, and finishing anywhere but last in the AL will be an accomplishment. 1. Washington Nationals (3) – I think this team will disappoint. The optimist points to experience and the addition of Rafael Soriano as reasons to justify visions of a championship. But one big question remains: how will they deal with expectations? On the surface, they are the most talented team in baseball. But hard work beats talent when talent doesn’t work hard. This is a young team, it would be in their best interest to acquire a player with championship experience as a guide for this group of young talented players. 2. Philadelphia Phillies* – This likely comes as a surprise to most people. But why? Last year they went 81-81 without Ryan Howard, Chase Utley and Doc Halladay most of the season. Yes this team is getting older, but with Halladay, Cliff Lee and Cole Hamels leading the rotation, and Michael Young being added to the lineup, they could be gearing up for one last run. Will they have enough to overtake the Nationals? Not likely. But without any pressure on them this year, I think they’ll surprise this season. 3. Atlanta Braves – How dare he put Atlanta this low? They’re gonna be great with the addition of the Upton brothers. Well, they might be big names, but I question how much better they will make the team. With those guys, they might put up a team strikeout record that stands for 100 years. No Chipper=problem. Not only will his production on the field be missed, but where will the leadership come from? Dan Uggla, who batted .220 last season? The burden really falls on Freddie Freeman and Jason Heyward this season. They have a fantastic bullpen, but can they trust Tim Hudson to stay healthy? No. Kris Medlen played out of his mind last season, but will that happen again, over a full season? I doubt it. They are my flop team for this season, mainly because they’ve failed every year for the last decade, always underachieving and having not reached the NLCS since 2001. 4. New York Mets – Marlon Byrd, John Beck, Shaun Marcum. Any of those guys strike your fancy? Me neither. But those guys were the additions this offseason to this train wreck of a franchise. David Wright will want out pretty soon if things don’t get better soon. 5. Miami Marlins – Mike Redmond is a bold man for taking on this disaster of a team. Last year’s attempt to buy a good year was a dismal failure, and all the guys who were part of it are gone. Juan Pierre is back, Casey Kotchman comes in as well to help a dismal lineup of Giancarlo Stanton and a bunch of nobodies. Their pitching strikes no fear into anyone. Ricky Nolasco as your ace? Good luck with that. This may be the worst team in baseball. 1. Cincinnati Reds (2) – Not much has changed from last season for this team. The only real notable addition was Shin-Soo Choo. He once was a stellar performer for the Indians, but fell off in recent years. Now he heads to the south side of Ohio to revive his career. In a lineup with Joey Votto, Brandon Phillips and Jay Bruce, among others, it won’t all be on him. Their rotation is great, with Johnny Cueto, Mat Latos and Bronson Arroyo leading the way. But their bullpen is just as good, featuring Aroldis Chapman, Jonathan Broxton and Sean Marshall, among others. This might be the most complete team in baseball. 2. St. Louis Cardinals* – I will never doubt this team again. No matter what happens, they just press on and win. It wouldn’t surprise me if they won the division. But losing Chris Carpenter will be a blow, he was their most clutch pitcher in the playoffs. I doubt losing Rafael Furcal will be huge, but David Freese’s back injury could be. If they can weather the storm early, they can push the Reds for the division late in the year, but I think they fall just short. 3. Pittsburgh Pirates – I think they’ll finally have a winning season. Andrew McCutchen is one of the best players in baseball, Neil Walker is a good second baseman and Pedro Alvarez provides power in the lineup. A.J. Burnett should have another good year in the pitcher friendly PNC Park, and I don’t think losing Harnahan will be that much of an issue. They’ll still have excellent pitching. They fell apart last season, but they have been going down an improvement curve over the last few years, and while it might not get them into the playoffs this season, it’ll be another step in the right direction. 4. Milwaukee Brewers – Ryan Braun is still one of baseball’s top players, but the amount of help he has this season will be severely reduced with injuries to Mat Gamel and Corey Hart. Alex Gonzalez is now out of position at 1B instead of SS. Rickie Weeks and Aramis Ramirez should have good years in the hitter friendly confines of Miller Park, but they have a shaky at best rotation, so they’re gonna have to win a bunch of shootouts this season. 5. Chicago Cubs – I feel bad for Starlin Castro and Darwin Barney. They’re two pretty good players on what is otherwise an awful team. Most people know Jeff Samardzija as the former Notre Dame receiver, but he’s their ace. His career ERA is over 4. They turned to Scott Feldman to shore up their rotation. Good luck with that. Shawn Camp has pitched well for them, but they need a new closer. You never know what you’re going to get out of Carlos Marmol. The most exciting player to watch this season for them could be Anthony Rizzo, who hit .285 and 15 HRs last season. They should have traded Alfonzo Soriano this offseason and gotten some more players. He hit 32 homers last season, his stock would never be higher. They should try to move him at the deadline this season, and if he stinks this season, they might be stuck with him. 1. San Francisco Giants (1) – Why does this team not get any respect from the national media? Do people not realize they’ve won two out of the last three titles and would have won three in a row if not for Scott Cousins drilling Buster Posey in 2011? Do people think that losing Brian Wilson will hurt them? It certainly didn’t last season. They still have the best starter in baseball, Matt Cain, best catcher, Buster Posey, a bullpen that always produces, and young talented guys like Brandon Belt and Brandon Crawford. Even if Pablo Sandoval misses time again, I can’t see the overpaid Dodgers or Diamondbacks catching them. 2. Arizona Diamondbacks – Heath Bell and Brandon McCarthy certainly help their pitching staff. But losing OF Adam Eaton to injury hurts. Their rotation should be fine if Ian Kennedy returns to his 2011 form. Trevor Cahill and Brandon McCarthy should be good additions to the rotation. Martin Prado was a good addition. A versatile player that hits well and plays good defense. Not sure it’ll be quite enough. 3. Los Angeles Dodgers – They’ve spent a lot of money on players that aren’t that good. Carl Crawford is done, Matt Kemp is hurt all the time, Adrian Gonzalez isn’t what he once was, Josh Beckett is inconsistent and Zach Greinke just fails in the playoffs. People who are expecting them to compete for a pennant should prepare for disappointment, which is what they’ve been since Joe Torre left. All this spending did not make them better. Magic Johnson better be careful to avoid becoming another Michael Jordan (in the front office, that is). 4. San Diego Padres – I would like to see this team jump the Dodgers and potentially the Diamondbacks, but I’m just not sure it’ll happen this season. Chase Headley would be a megastar if he played in New York, and Cameron Maybin and Carlos Quentin are pretty good outfielders. But their rotation leaves much to be desired. Edison Volquez is their ace. It’d be one thing if he could stay healthy, but even if he could he’s not an elite pitcher. They are at least a year away. 5. Colorado Rockies – I put them down here by default, but they aren’t as bad of a team as people think. Yes they’ll score a billion runs because of the thin air at Coors, but they missed Tulo bigtime last season. With him back, I feel like they aren’t cursed to the cellar, but the other teams in this division are just pretty good. They really need to overhaul their staff. I know that’s not exactly the most original line, but it’s true- still. Jeff Francis and Jon Garland aren’t what they once were. The other guys just need some time to develop. Dusty Baker has had winners everywhere he’s gone. He was just a few outs away from winning the World Series in 2002 with the Giants, he was a Bartman ball away from potentially taking the Cubs to the World Series in 2003, but he just hasn’t captured that title yet (as a manager, he won one as a player). But this time around, with a powerful hitting lineup and dynamic pitching staff that learned from last season’s collapse against San Francisco in the opening round, the Reds will win the World Series for the first time since 1990. Baseball season is upon us. Can you feel it in the air? Teams will soon embark on a 162-game arduous season filled with player injuries at just the wrong time, winning streaks that cause teams to look impossible to defeat, and emotional games that will lead to an owner becoming livid. The players on each team will attempt to win enough games to make it into the playoffs and beyond. As last season showed with the red-hot Cardinals, anything can happen when a ballclub comes together at just the right time. 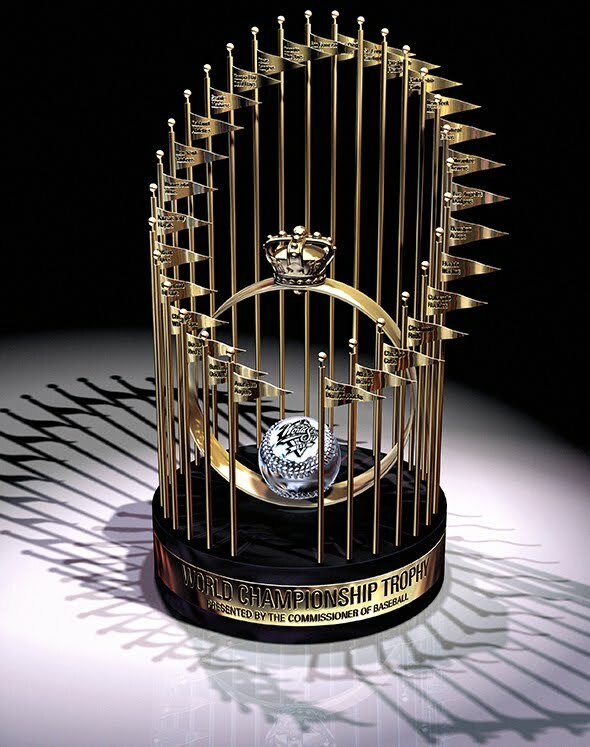 So, who will come together in 2012 and be crowned as World Series champions? Since you will be hearing my voice and my take for the majority of the year, I decided to bring in someone with solid knowledge of the game to give his outlook on what looks to be another great MLB season. Atlanta– Even with last year’s epic collapse in mind, this team will move to the top this season. Knowing that disappointment and that this is Chipper’s last season will fuel them to excel. Having Michael Bourn, and hopefully Brian McCann, for a full season and the experience for Freddie Freeman will help ignite an offense that ranked in the 20s in runs, OBP and batting average last season. The experience will help the bullpen, which wore down because of all the innings they logged last season, and as long as Tim Hudson can get healthy quickly and return to his previous level, they will be just fine. Philadelphia– They have more big names than the Braves, particularly in the rotation, but that doesn’t necessarily make them better players. Doc Halladay, Cliff Lee and Cole Hamels as a trio are far bigger names than Tim Hudson, Jair Jurrjens and Tommy Hanson, but the collective ERAs of the two teams pitching staffs were not much different. I’d take Craig Kimbrel over the enigmatic Jonathan Papelbon at closer. The injury to Ryan Howard and the lack of durability of Chase Utley, Shane Victorino and Jimmy Rollins will weigh them down. They will need Hunter Pence to jump into the elite group of players in baseball for them to get back to the World Series. Miami– This team has the talent to win the division. Jose Reyes is one the most dynamic players in baseball, and Hanley Ramirez is too when he is healthy and has his head on straight. Combine them with Gaby Sanchez, the powerful bat of Mike Stanton and the up and coming bat of Logan Morrison, they could field a pretty dangerous lineup. The question comes back to staff ace Josh Johnson. He has arguably the best stuff in all of baseball, he just cannot stay healthy. Adding Mark Buehrle and Heath Bell will help fortify their pitching, but won’t be enough to vault over the Braves and Phillies. Washington– This team is heading the right direction. Strasburg showed lights out stuff back in his few starts in 2010, and coming back this season he should be strong. Adding Gio Gonzalez from the A’s was one of the most underrated moves of the offseason. He was dominant last year in Oakland. Drew Storen is an all-star caliber closer. Mike Morse had a great season last year, and Danny Espinosa, Ian Desmond and Roger Bernadina are all good young players. If Ryan Zimmerman can stay healthy and Jayson Werth can live up to his contract, they will push for the playoffs. NY Mets– This team is an absolute train wreck aside from two players, David Wright and Mike Pelfrey. Losing Jose Reyes is huge, and they’re hoping Johan Santana can come back after missing all of last season. Fat chance. In order for them to get out of the cellar, Ruben Tejada and Ike Davis will have to become basically all star players and Jason Bay will have to start playing like he’s worth the money that they paid him. Cincinnati– While I don’t agree with the notion that just adding Mat Latos gives them an “elite” rotation, Latos does provide another ace caliber pitcher. Johnny Cueto finally looked like player people thought he would be last season, and Mike Leake, Bronson Arroyo and Homer Bailey round out a pretty good rotation. Sean Marshall takes over for the departed Francisco Cordero at closer. He has only seven saves his whole career, so we shall see how he fares as a full time closer. On the offensive side, Jay Bruce, Joey Votto and Brandon Phillips lead a lineup which is full of talent. Chris Heisley hit 18 homer runs in his second major league season in 2011 and Drew Stubbs stole 40 bases last season as well. This team looks to be very dangerous in 2012. Milwaukee– Even with the loss of Prince Fielder, they still have a potent lineup. Ryan Braun is the reigning MVP, Rickie Weeks had a good year last year and Corey Hart added 26 homers as well. Adding Aramis Ramirez will help offset the loss of Fielder, but losing Prince’s bat is not what they will miss most. Prince played every game last season- the durability and presence will be missed more. Mat Gamel has a huge job ahead of him. The pitching is solid. Yovani Gallardo has great stuff, but has not had a breakout year yet. Zach Greinke has been very average since his one great year with KC in 2009. Marcum is solid, but he will never be ace material. His lowest ERA was 3.39 in 2008 while with the Toronto Blue Jays. John Axford leads a solid bullpen. This team is still playoff material. St. Louis– Losing Peyton Manning ran the Colts into the ground last season. I don’t think losing Albert Pujols will produce the same result for the Cardinals, but knowing that the heart of soul of that team, as well as their best player, puts a huge burden on new manager Mike Matheny and the rest of the defending World Series Champions. Lance Berkman had a productive 2011 season, but I am not sure he will do it again after years of inconsistency and considering his age. Carlos Beltran did absolutely nothing for the Giants, which is why St. Louis got him so cheap. But with his age and health problems, don’t expect him to make up much of the lost production. Getting Adam Wainwright back will be a boost for the rotation, but it will not be enough to contend in an improving National League. Pittsburgh– I was rooting for this team last season. They did so well through the first half of the season and then tanked afterwords. I was hoping they could end their streak of losing seasons that now spans almost two decades. They have a talented rotation has been fortified by the addition of A.J. Burnett. I know Burnett caught a lot of flack in New York, but he was pitching in one of the most prominent hitters parks in baseball. Now, in the confines of PNC park, I expect Burnett to have a great year. In the 2009 World Series, he showed he can get the job done. On the offensive side, it’s too bad they can’t send Andrew McCutchen to the plate every time. He is one of the most complete players in baseball, even at his young age. If Garrett Jones, Jose Tabata and Pedro Alvarez can get it together this season, expect not only a winning record but playoff contention. But, I think it’ll take one more year of growing pains before this group takes off. Chicago Cubs– This team is a collection of players that are either too old or too young. Alfonso Soriano, Marlon Byrd and David DeJesus give them the most washed up outfield in baseball. In the infield, Starlin Castro and Darwin Barney are both emerging players, but Geovany Soto is nothing special behind the plate, Ian Stewart is okay at third, and Bryan LaHair hasn’t played since 2008 with Seattle. Adding Paul Maholm was a decent move, and letting the headache of Carlos Zambrano go will help the rotation. But this team is a long ways away from contending. Houston– In their last NL season, they will more than likely have baseball’s worst record. Carlos Lee is the only name most baseball fans would be able to know on the team, and he’s well past his prime. Jed Lowrie is a solid young talent, but time will only tell if he can be a franchise cornerstone. Their rotation inspires no confidence whatsoever. J.A. Happ had an awful year last year, posting a 5.35 ERA in 28 starts. Wandy Rodriguez is the best pitcher on staff, and he’s a good 2/3 starter at best. Brett Myers moves into the closer role from the rotation. He has a lifetime ERA of 4.24, so I am highly skeptical about him succeeding in his new role. He seems best fitted for a 4/5 starter. San Francisco– Great pitching, enough hitting. They rode that motto to the World Series title in 2010. And, well, they are trying to do the same once again. Adding Melky Cabrera, who hit .305 in KC last season, will help the lineup, as will the return of Buster Posey. The Giants were at the top of the NL last season before Posey went down. Losing Jonathan Sanchez will hurt some, but he was expendable considering the rotation they have. Lincecum and Cain will anchor the rotation, Bumgarner and Vogelsong will hold down the middle and Zito is the most expensive 5th starter in baseball. The bullpen is solid, and if Brian Wilson returns to his 2010 form, they will have the best staff in baseball. Arizona– This is an all around solid team, but not a special one. Ian Kennedy, Daniel Hudson, Trevor Cahill, Joe Saunders and Josh Collmenter form a pretty good rotation. Adding Breslow will help the bullpen. J.J. Putz had his best season last year at closer. So we know they can pitch. Their lineup is not awe inspiring. Justin Upton has not shown he consistently will put up big numbers, having a great year in 2009, regressing in 2010, and then putting up big numbers again last season. Chris Young does nothing but hit homeruns. He can’t hit for average. Aaron Hill hit .315 in 33 games with the D’backs last season, after hitting almost 100 points lower in Toronto. Kubel will be a solid addition. He can hit for power, he hit 20+ homeruns from 2008-2010, and typically posts a pretty solid average. Injuries limited him to just 99 games last season, but he should be a boost for the club. 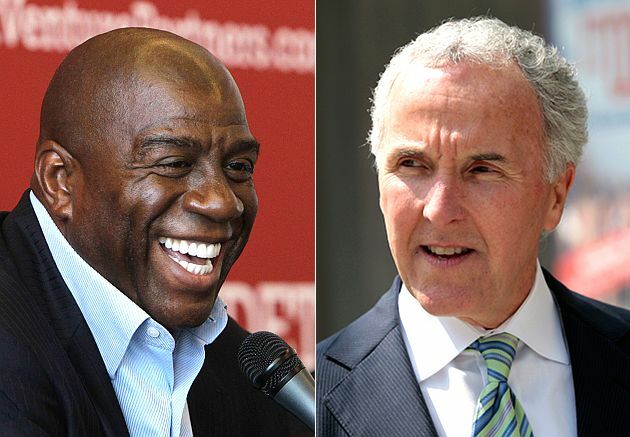 LA Dodgers– New manager and the new ownership group have a lot on their plates right now. But fortunately, they inherit a club with talent. Matt Kemp has finally started to play up to his immense talent and is one of the five best players in all of baseball. Clayton Kershaw is young and coming off a Cy Young season. After that, there is a drop, but talent still remains. James Loney and Andre Either both have talent and have put up solid numbers. Dee Gordon hit .304 and stole 24 bases in 56 games last season. He should get better this year. I think they’re a year away, but watch out in 2013. Colorado– The team that always promises to do well then ends up disappointing. The rotation is nothing to write home about, only adding Jeremy Guthrie, who was average at best in Baltimore. Make no mistake, this team can hit. Troy Tulowitzki is one of the best players in all of baseball, Carlos Gonzalez has the talent to be as well, Todd Helton is a steady veteran, but it’s too bad they can’t play every game at Coors. San Diego– This team keeps shedding talent. After shipping away Adrian Gonzalez, they shipped away Mat Latos this offseason for an inconsistent Edison Volquez. Cameron Maybin seems to be coming into his own, and Carlos Quentin is okay, but he has not been terribly productive since his career year in 2008. They also let Heath Bell walk this offseason. It’ll a long year in San Diego, at least the weather is nice. Tampa Bay– Every year some think they’ll get back to the World Series, but they just don’t have the offense. Ben Zobrist is a nice player but no superstar, Longoria has all the talent in the world, but something just keeps holding him back, B.J. Upton has never been consistent, and who knows if Matt Joyce will be as good as he was last year. Their starting pitching is phenomenal, but their bullpen continues to be an amalgamation of cheap, washed up veterans. But I think they will have just enough to win the division. NY Yankees– Age is beginning to show in New York. Jeter has declined in recent years, Alex Rodriguez hit only 16 homeruns in 99 games last season, the first time he didn’t hit at least 30 since 1997. Good thing they have enough money to spend in Robinson Cano, the best 2B in baseball, Brett Gardner, Nick Swisher and homerun masher Mark Teixeira. I’m not sold on Michael Pineda. He had a great first half and then cooled off in the second half last season. Now pitching in Yankee Stadium causes me some doubt. Kuroda is a solid addition, but nothing special. Boston– After their gargantuan collapse at the end of last season, last year’s paper champion has a new manager and a new focus. Bobby V has already voiced his hatred of the the Yankees, and while he may not be a better manager than Francona was, maybe his attitude will be just what this team needs to get this talented group of players to the place they were meant to go. When this team was hot last season, they looked unbeatable. However, losing Andrew Bailey for what is presumed to be a huge chunk of the season really hurts their bullpen. Toronto– They are a living embodiment of a hamster on a wheel. Just keep moving but not going anywhere. Jose Bautista is the best hitter in all of baseball (not necessarily the best all around position player, though), but he alone cannot take down the three teams above them. They Jays will have to make some major moves if they ever expect to compete with the big spending Yankees and Red Sox or the Rays. Baltimore– This is a once proud franchise that has been awful for the last 15 years, not having a single winning season in that time frame. Adam Jones seems to be playing at his talent level, but Nick Markakis has been declining, and he’s only 28. Mark Reynolds is exactly as advertised, 30+ homers but a terrible average. Matt Wieters had a good season last year, but they still don’t have enough in that lineup. It doesn’t help that they have no pitching. They had the worst ERA in the American League last season and Jason Hammel comes into the year as their #1 starter. Bleh. Detroit– They may win this division by 20 games. They are that much better than everyone else. Having Doug Fister for a full season will strengthen an already strong rotation that includes Rick Porcello, who had 14 wins last season, and Max Scherzer, who had 15; as well as reigning league MVP and Cy Young Justin Verlander. Andrew Oliver comes in as the 5th starter. On the offensive side, Prince Fielder adds 35-40 homeruns and adds lineup protection to Miguel Cabrera. Defensively moving Cabrera to third is risky. But who knows, they might have a powerful enough lineup that it won’t matter. Minnesota– Joe Mauer should be healthy this season, and hopefully shouldn’t be forced to play at first base. Because, if Moneyball taught us anything, it’s very hard. But Justin Morneau looks like the bigger question mark. After all his problems with concussions, will he be able to return as an elite player? I doubt it. They do have a solid rotation though, even without a real star. Carl Pavano, Francisco Liriano, Scott Baker, Nick Blackburn and Jason Marquis are all decent players, but a bunch of 2-4 starters. But simply having Mauer and Gardenhire will keep them around, at least for a while. Kansas City– At least it will be a step forward for a team that hasn’t made the playoffs since winning the World Series in 1985. Jonathan Broxton will help solidify the bullpen, but I am skeptical of Jonathan Sanchez. He never bloomed into a great pitcher while in San Francisco, which is a great hitters park. Hopefully the young offensive talent lead by first baseman Eric Hosmer, third baseman Mike Moustakas and out fielder Alex Gordon will come together and give the KC faithful something to cheer about. Cleveland– The darling of the first half of last season faded badly in the second half of last season. The rotation should still be okay, with Justin Masterson, who broke out last season and Ubaldo Jimenez, who can hopefully recapture his 2010 form. Derek Lowe came over from the Braves this offseason, where he posted an ERA over 5 in 2011. Josh Tomlin is still figuring it out, but he was alright last season, winning 12 games. Kevin Slowey is a journeyman. Their lineup isn’t anything to write home about. Carlos Santana and Asdrubal Cabrera are the only two players worth fearing in their lineup. Shin-Soo Choo regressed last year, dropping from a .300 hitter to .266 hitter. Chicago White Sox– Robin Ventura is gonna feel like he’s still in Nolan Ryan’s headlock most of this season. Adam Dunn flopped in a big way last season. He looks done. Alex Rios looks done too. He regressed to only 13 homers and a .227 average last season. Alexei Ramirez is average. Paul Konerko is the only consistent performer on the team. Jake Peavy has done nothing since coming over from the Padres. John Danks and Gavin Floyd have never blossomed into the elite pitchers they were supposed to be. We will see how Matt Thornton adjusts from holder to closer. Texas– After two straight trips to the World Series, and in light of last year’s heartbreaking World Series loss, this heart of this team will be tested once again. They have baseball most complete and powerful lineup 1-9, and have a good rotation. I was skeptical of the Yu Darvish move at first, but do you really think Nolan Ryan, one of the best pitchers of all time, would have brought him over for Japan and paid all that money if he didn’t think Darvish could play? I think he’ll be an upgrade over C.J. Wilson, who never got it done in the postseason. Derek Holland is on his way to becoming really good. Harrison and Feliz are both very talented, and round out the rotation. Joe Nathan is a relatively low cost addition to the bullpen, and if he can be anything like his old self, look out. With a bullpen that already includes Alexi Ogando, an all star last season, and solid veteran Mike Adams, this team is all around loaded. LA Angels– Adding Albert Pujols will be big for a team that finished 10th in runs scored in the AL last season. But I don’t think he will produce the same way he did in St. Louis, playing in the hitter friendly Busch Stadium. Vernon Wells and Torii Hunter, two big names, are aging and have moved down to the 5/6 slots in the batting order. Kendrys Morales has missed the majority of the last two seasons with injuries, and is in the cleanup spot. Will he be anything like he was in 2009 when he hit 34 homers and batted over .300? The odds seem long. 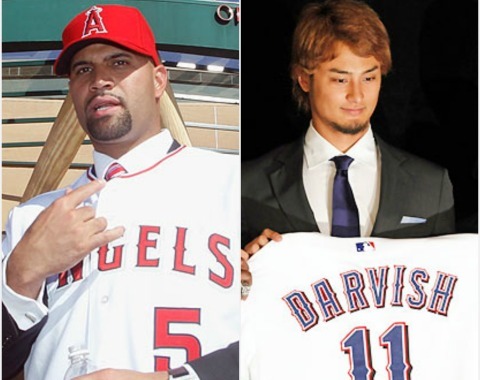 The Angels reeled in the biggest offseason prize, but it won’t jump them over the Rangers in the division. Seattle– This team finished last in the AL in runs scored last season, and may very well be there again this season. Ichiro, who had been a staple of consistency for the last decade, regressed considerably last season. Now young players like Dustin Ackley, Justin Smoak, Jesus Montero and Kyle Seager will have to ignite the offense. They’re a couple years away from that. They dealt away Michael Pineda in the offseason, but with King Felix and Brandon League leading the rotation and bullpen, respectively, their pitching should be okay. Not great, but okay. Oakland– They have a lineup with absolutely nobody who will scare any opposing pitcher. Jemile Weeks has a lot of speed and hit .300 last season, but had only a .340 OBP. Coco Crisp hits 3rd, Colorado washout Seth Smith hits cleanup and Kurt Suzuki hits 5th. Not exactly an imposing heart of the order. Yoenis Cespedes is the only glimmer of hope for this team. The team was 3rd in ERA in the AL last season, and return starters Dallas Braden and Brandon McCarthy, as well as most of the bullpen. But after dealing Trevor Cahill to Arizona and Andrew Bailey to Boston for a bag of chips, that should go down. Bartolo Colon couldn’t crack the Yankees rotation, and young guys Tommy Milone and Tyson Ross round out the rotation. Billy Beane will need more magic than Hollywood can provide to get this team to the playoffs. Arizona beats Philadelphia– If this was a series, Philadelphia would win. Their star studded rotation will be nullified by the fact it is one game, and like game 5 of the NLDS last season, their declining lineup fails to score off Ian Kennedy, and squanders a great performance by one of their aces. LA Angels beats NY Yankees– In a low scoring game, Jered Weaver stifles the Yankee hitters, and C.C. Sabathia shuts down the Angels. It goes to extra innings and Albert Pujols validates his contract by giving the halos the win. Cincinnati beats Arizona– This will be a good series, going the distance. Both teams have a great lineup with lots of power, but Johnny Cueto delivers a gem for the Reds on their home field to give them their first playoff series win since 1995. San Francisco beats Atlanta– Much like the series between the two teams two years ago, there will be great pitching and the team that gets timely hitting will win. Buster Posey delivers for the Giants once more and leads them to a four game series win. Detroit beats LA Angels– Verlander and Fister both pick up wins for the Tigers in the first two games, but the Angels take games three and four, and it comes down to game five in Detroit. Verlander channels his inner Cliff Lee and shuts down the Angels once again, giving them a return trip to the ALCS. Texas beats Tampa Bay– For the third year in a row, these two teams meet in the ALDS. Once again, the Ranger’s lineup does just enough against the starting pitching of the Rays to get them a four game series win. Cincinnati beats San Francisco– The Giants rotation dazzles again, but the powerful lineup will be just enough to squeak out a win in six games, after getting great performances from Cueto and Latos, and Arroyo and Leake do just enough to get the two other needed wins. Texas beats Detroit– Like last year, this will be a close series throughout, but Prince Fielder alone won’t be enough to make the difference for the Tigers in this series, as the completeness of the Rangers lineup shows itself once again, and the rotation does enough to advance to the World Series for the third straight year. Texas beats Cincinnati– Third time’s a charm right? As a Rangers fan I hope so, and I also realize this probably looks like a homer pick, but I just don’t see a team that can match both the Rangers‘ pitching and lineup. I think the experience will help the Rangers jump the final hurdle, because they have made the last two World Series‘, while the Reds have made the playoffs once in this century. With the experienced Joe Nathan in the fold, the end of games will become easier to watch (for Rangers fans) as the Rangers take home the trophy in 7 games in what may very well be the highest scoring World Series in history. Two very hitter friendly ball parks and two very potent lineups.